Download or view the following FREE reports from Spencer's Camera. Check back often for new additions. 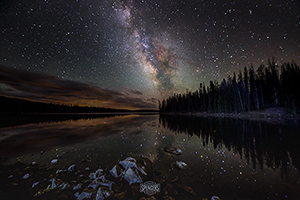 Astrophotography-Basic Equipment for Astrophotography and Deep Sky Imaging. 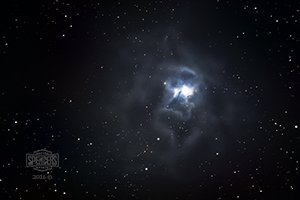 Astrophotography-Using a Modified Camera for Astrophotography. 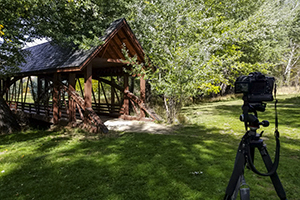 We now offer LIVE Photo Editing tutorials and instructions. 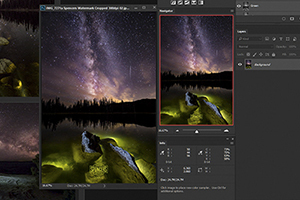 Our Adobe Photoshop and Adobe Lightroom experts are able to help with your post processing needs by remotely logging into your computer and showing you how to achieve the best results using your own images - LIVE! 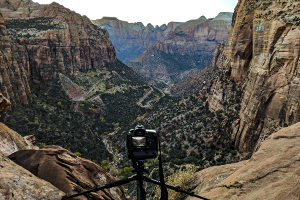 LIVE Remote Photo Editing Tutorials. 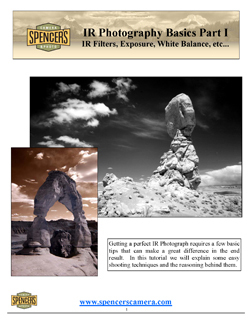 Getting a perfect IR photograph requires a few basic tips that can make a great difference in the end result. 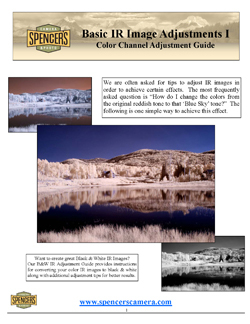 We are often asked for tips to adjust IR images in order to achieve certain effects. The most frequently asked question is How do I change the colors from the original reddish tone to that "Blue Sky" tone. The following is one simple way to achieve this effect. 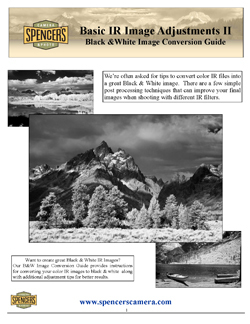 A few simple tips for converting your Color IR images into great Black & White images.